Welcome to this week’s coverage and review of 205 Live. The show starts with a highlight video of last week’s Cruiserweight Championship match between Cedric Alexander and Drew Gulak, with Alexander defying the odds once again for the victory. General Manager Drake Maverick reminds the viewer that Buddy Murphy will challenge Alexander for the title in Murphy’s hometown of Melbourne, Australia, at WWE Super Showdown. Maverick will mediate a sit-down talk between Alexander and Murphy this evening. The GM then informs us of tonight’s matches, with Lio Rush looking to continue putting his money where his mouth is against Noam Dar, and Mustafa Ali looking for retribution against Hideo Itami, whose previous victory on 205 Live over Ali was enough to render him medically unable to compete for several weeks. Vic Joseph is joined by Nigel McGuinness and Percy Watson for tonight’s 205 Live. 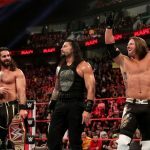 Despite riding on the success of his management role for Monday Night Raw’s Bobby Lashley, Nigel McGuiness suggests that Rush is spreading himself thin as far as energy is concerned. Rush may also realize this as he jumps Noam Dar with a cheap shot before the bell has even rung. Once the match is officially underway, with Rush already “one-up”, he darts around and outside the ring in almost Benny Hill skit fashion in an attempt to escape Dar. But the Scot is just as rapid, having Rush’s number and quickly managing to dominate in the early proceedings. Rush spills Dar from the apron after a failed leg submission through the ropes and proceeds to wear down Dar with a bear-hug. Then, as well as the mid-section, Rush takes turns between this and Dar’s surgically repaired knee, systematically dissecting him by the body part. Rush looks to hit Dar with an Irish whip assisted cross-body, but Dar ducks at the last minute, sending Rush crashing onto the top rope. The ensuing foray of offense affords Dar the first near-fall of the match after a Northern Lights Suplex. Interestingly, he doesn’t pin in the normal fashion following said suplex; the pressure on his knee probably too much of a mental barrier for him to overcome. The 23 Year Old Piece of Gold is in danger now after a release suplex into the corner, but Dar still favors both his knee and ribs. He is poised to hit his running shin-kick finisher, but Rush dodges the incoming attack. Dar has had enough. He lands a stiff palm strike on Rush, then traps him in the corner delivering a series of stiff clubs that run the risk of disqualifying him from the match. The referee holds Dar back. Rush capitalizes with a kick to Dar’s knee, grounding him. Rush continues the sudden turn of events, taking to the skies with a frog splash to Dar, earning him the win. Rush stays undefeated on 205 Live. This was Rush’s best outing on 205 Live to date. With him getting under Dar’s skin more convincingly than he did with Akira Tozawa previously, Dar’s aggression was more defined. This gifted Rush the chance to showcase his positives more clearly, living up to his namesake throughout. Between this and his time on Raw, things are looking good for The Man of The Hour. Next up is the sit-down between Murphy and Alexander. Drake Maverick says this rematch is highly anticipated what with their classic encounter. Alexander only has one thought: to win. Alexander mentions his pride is what has kept him as champion. He retorts Murphy’s claims that he was lucky to retain the last time they faced off. Things get heated as Murphy closes in on Alexander, the challenger promising to become the next Cruiserweight Champion. This may be the quickest recorded match in the history of 205 Live. Kendrick has been nursing a knee injury at the hands of Akira Tozawa. But a stiff boot to the face and a decapitating Captain’s Hook submission quells any worries over Kendrick’s health and is enough to defeat this unfortunately nameless wrestler in a matter of seconds. Kendrick is joined by Drew Gulak and Jack Gallagher in the ring. Gulak begins to viciously assault this poor man, his promise to sabotage 205 Live until he is Cruiserweight Champion in full swing here. Interestingly, Kendrick calms Gulak down, saying “enough is enough”, before throwing the wrestler nonchalantly through the ropes. Mustafa Ali is in a contemplative mood backstage, saying the definition of insanity is “doing the same thing over and over again and expecting a different result”, likening this behavior to his own in his repeated and failed attempts to defeat Hideo Itami. Ali still takes on the responsibility of stopping Itami’s path of destruction. TJP is in a backstage segment, holding a luchador mask in reference to him taking off Lince Dorado’s mask on 205 Live last week. TJP says he’ll continue this new tradition when he takes off Kalisto’s mask on next week’s 205 Live. That show will also feature Akira Tozawa vs Jack Gallagher. Ali makes his entrance first this week and watches on as his remorseless opponent strides smugly to the ring. Itami cheaply avoids Ali’s advances by edging in under the ropes and then out of the ring. Ali takes matters into his own hands by chasing Itami down, finally getting his chance, landing a chop onto Itami’s chest. This match is starting slowly and methodically, Ali no doubt thinking of a new game plan that could even come close to dealing with Itami. Back in the ring, and Ali catches Itami’s leg and countering with a spinning heel kick to the side of the face. Ali shouts in Itami’s face that he is “ready for this”, but he isn’t ready for Itami grabbing his legs and wrapping his head around the corner post. Another nasty maneuver to add to Itami’s repertoire. Itami continues to punish Ali. The Heart of 205 Live attempts an impressive counter and roll-up, but the fightback from Ali is short lived. The pair exchange strikes and fists in labored fashion, but Itami gets the better from this exchange with a spike DDT to Ali. This methodical approach from Itami is hard to watch, giving the match an uncharacteristically flat feel. Perhaps it isn’t much fun seeing Ali struggle to gain any footing in the match. This theme continues as Ali tries to compose himself in the ropes, but he receives a stiff boot to the face, spilling him from the ring. Itami’s dose of punishment has gone into second gear now as he throws Ali around the commentary area, then snap suplexing him onto the floor. Itami raises his fist in the air back in the ring, as Ali just about stops the referee’s ten count. Ali begins another fightback with an X-Factor from through the ropes. A sunset flip earns Ali a near-fall. Despite the beating, he’s been on the receiving end of, Ali’s resolve looks like it is coming to the fore. With Itami upended over the top rope, Ali capitalizes with a somersault onto Itami on the outside. The referee starts another ten count, but Ali breaks it at seven by throwing Itami back into the ring. Ali begins to climb the ropes, but Itami’s ring awareness sees him crawl out of the opposite end. Ali hunts Itami down, looking for a stairs assisted moonsault, but Itami stops him with a momentum destroying dropkick. Itami aims to end matters with a hesitation dropkick back inside, but Ali, remembering the fate that befell him last time, dodges the attack. He lands a Tornado DDT, but this only earns him a two count over Itami. Ali tries for his “054” finisher, but Itami vaults the rope and lands a top rope Falcon Arrow. Again, only a two count can be given here. The action begins to get ugly and bitter; moves not landing as smoothly as you would expect. Out of nowhere, however, with Itami’s top half sprawled under the ropes, Ali does the unthinkable and 450 Splashes Itami on the apron. The skill and confidence to connect with such a move shows the lengths that Ali is willing to go to defeat Itami. The move is so devastating, however, that both parties are wiped out. The referee counts to ten as both Itami and Ali are unable to continue. As far as aesthetically pleasing matches are concerned, this doesn’t rank high in 205 Live’s catalog. So bitter was the animosity between the two, that personal vendettas took precedence over flashy moves and spirited comebacks. But the 450 Splash from Ali to Itami onto the apron was a jaw-dropping sight. Ali said before the match that this was a battle between light and dark, but Itami’s darkness seems to be all-consuming in this instance with Ali taking his need to vanquish Itami to desperate heights. 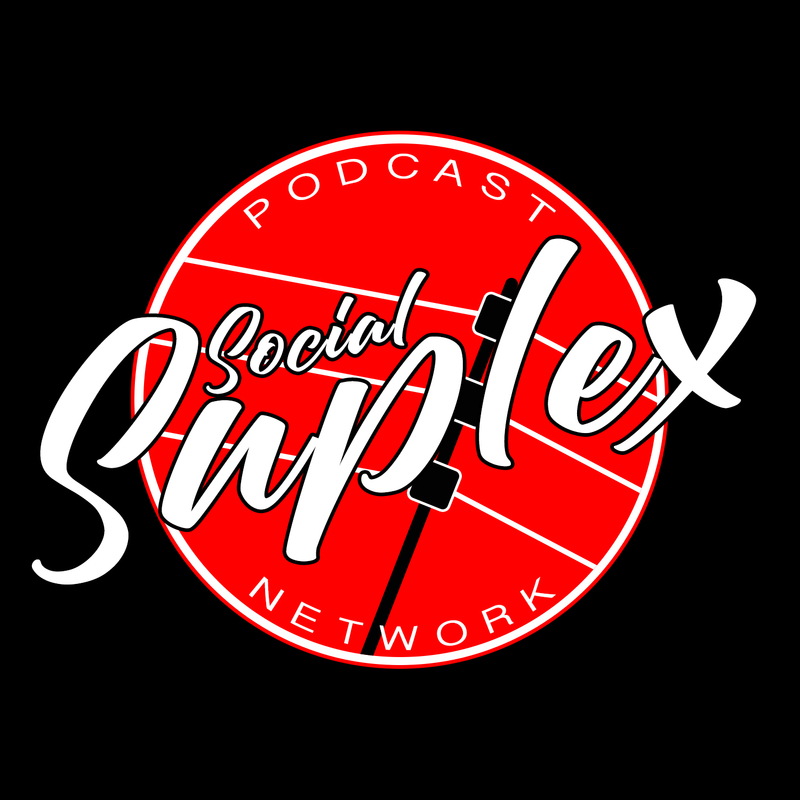 Check out this week’s “Ricky & Clive Wrestling Show” on the Social Suplex Podcast Network. Ricky and Clive celebrate a quiet week in WWE with some nonsense, fun ‘n’ games. With no PPVs to review or preview, the pair introduce new segments to the show with best & worst case scenarios, awful thrown together tag team name ideas, and a new gimmick for shoot fighter, Brie Bella. This tangent heavy show ends, as ever, with our traditional quiz.